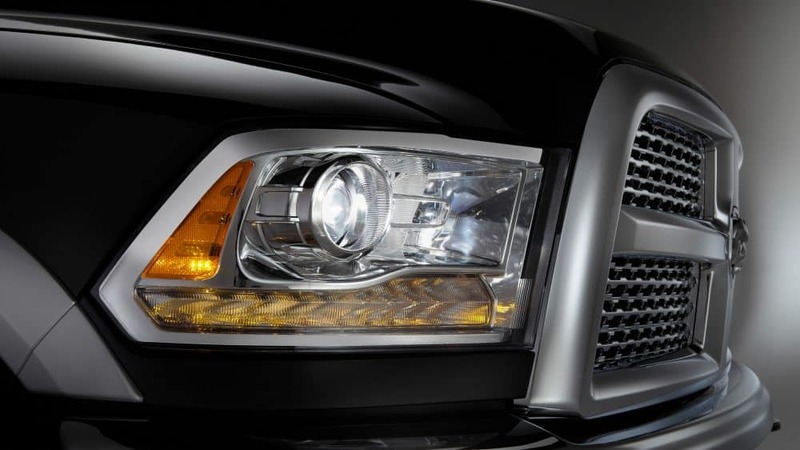 Ram has a long and storied history of creating the longest-lasting, and most powerful pickup trucks on the market. The 2018 Ram 2500 continues that tradition, giving you a pickup truck that is committed to durability, quality, and reliability. This truck gives you multiple different configuration options, an out-of-this-world towing capacity, and a ride that will make you feel like you're in a sedan. New to this model year is the Limited Tungsten edition, a Sport model appearance upgrade, a standard backup camera on every model, and Sirius Guardian that offers remote services, a vehicle finder, assist, and SOS. 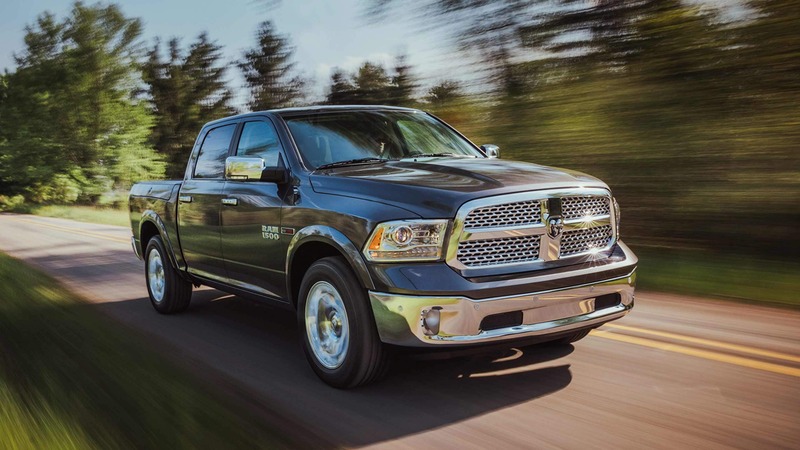 What trim levels are offered with the Ram 2500? 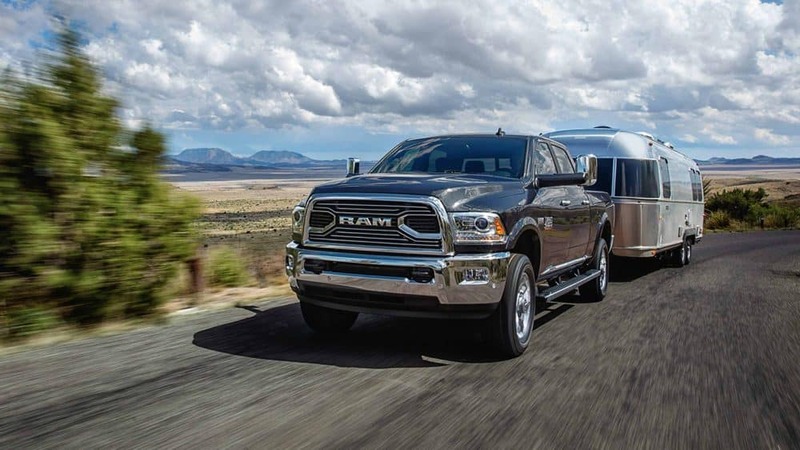 The 2018 Ram 2500 comes in four different configurations, Regular Cab with an 8-ft bed, Crew Cab with a 6-ft 4-inch bed, Crew Cab 8ft bed, and Mega Cab 6-ft 4-inch bed. This is just the beginning of the different ways you can personalize your 2018 Ram 2500. 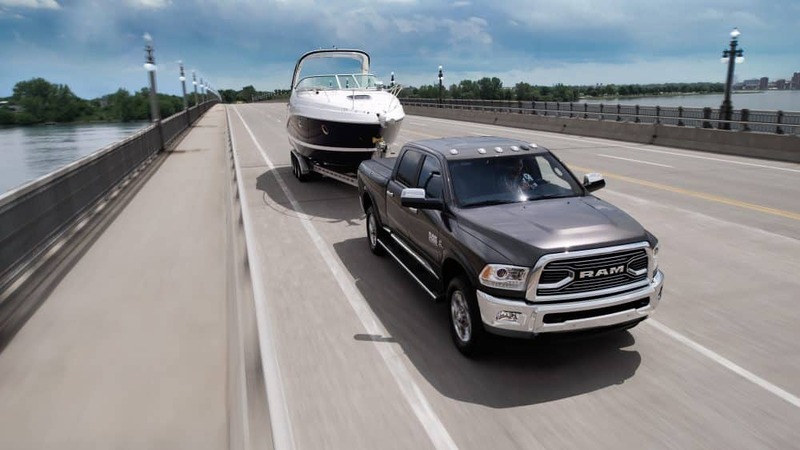 There are a staggering eight different trim levels offered with the Ram 2500, starting with the Tradesman. The Tradesman gives you a tilt-only steering wheel, vinyl upholstery, and flooring, black grille, and bumpers, a six-speaker stereo with a USB port, 40/20/40-split front bench, 17-inch steel wheels, and even automatic headlights. The Laramie is the perfect mid-range option for someone who wants extra features. This model gives you dual-zone climate control, chrome trim, a ten-speaker surround-sound audio system, leather upholstery, heated and ventilated front bucket seats, a rearview camera, LED tail lights, and a heated steering wheel. For the meanest trim level that gives you everything you could possibly need for off-roading, there is no option better than the Power Wagon. The Power Wagon features aggressive all-terrain tires, tow hooks, a unique grille and tailgate, black fender flares and unique graphics, skid plates, Bilstein off-road shock absorbers, and electronically locking front and rear differentials with a 4.10 axle ratio. 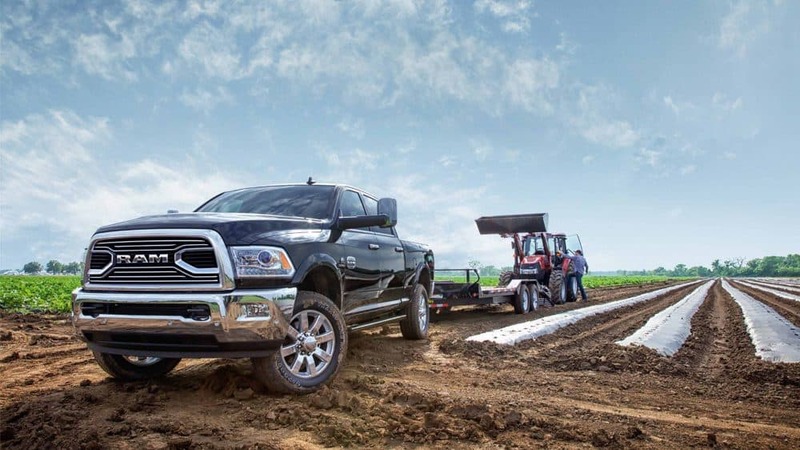 There is a Ram 2500 for everyone, whether you are just looking for a truck, or looking for a worker that can handle off-roading, we know you'll find the right one for you. 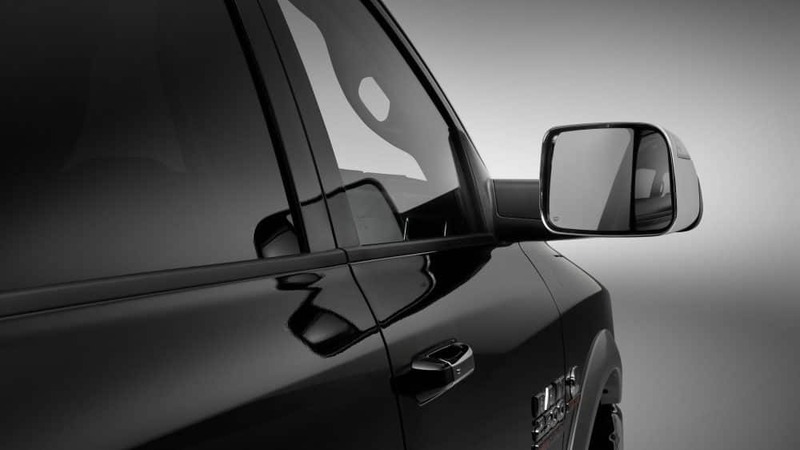 What are the safety features in the Ram 2500? 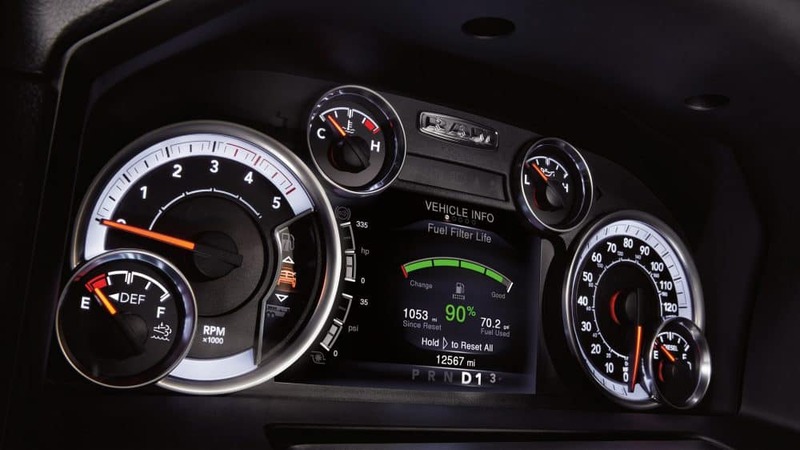 The 2018 Ram 2500 includes traction control, dusk-sensing headlights, front head airbags, ventilated front disc/solid rear disc brakes, and a post-collision safety system as standard safety features. Higher trims give you a limited-slip rear differential, a rearview camera, hill descent control, and a cargo-view camera. 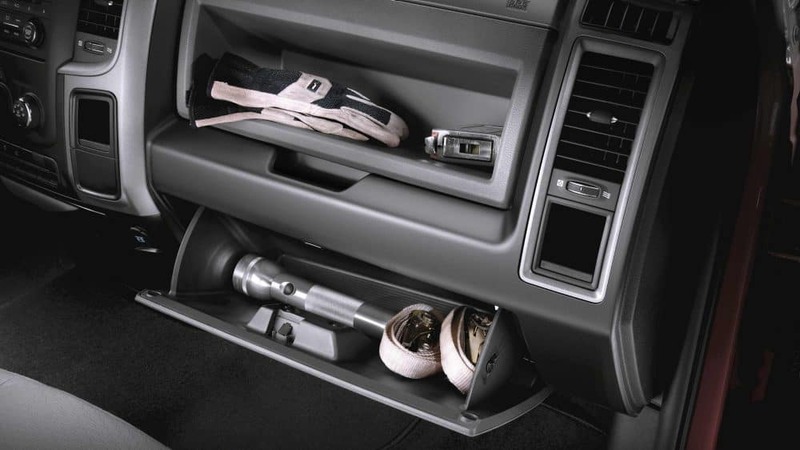 What are the powertrain options for the Ram 2500? This hardworking pickup truck can be found with three different engine options, two gasoline, and one diesel. The diesel engine is the 6.7-liter Cummins High-Output Turbo Diesel that can generate 900 lb-ft of torque and 385 horsepower! 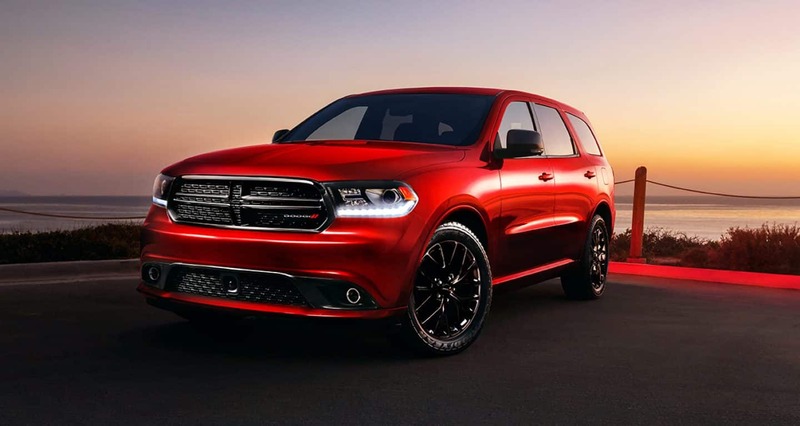 The first of the two gasoline engine options is the 5.7-liter HEMI V8 that delivers 400 lb-ft of torque and 383 horsepower. 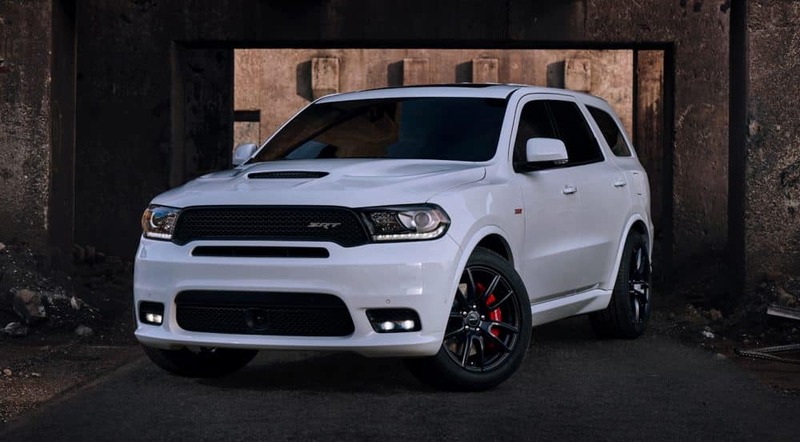 The second gasoline engine is the 6.4-liter HEMI V8 that creates 429 lb-ft of torque and 410 horsepower. The Power Wagon comes standard with 4WD, while the other models have the option to choose between rear-wheel drive and part-time four-wheel drive. The two gasoline engines come standard with a six-speed automatic transmission, and the diesel engine pairs itself with a six-speed manual transmission, with the option for a six-speed automatic transmission. The Ram 2500 combines everything you love in a pickup truck with Ram's long-lasting and powerful craftsmanship. You can't go wrong with the 2018 Ram 2500! Schedule a test drive today to find out why!